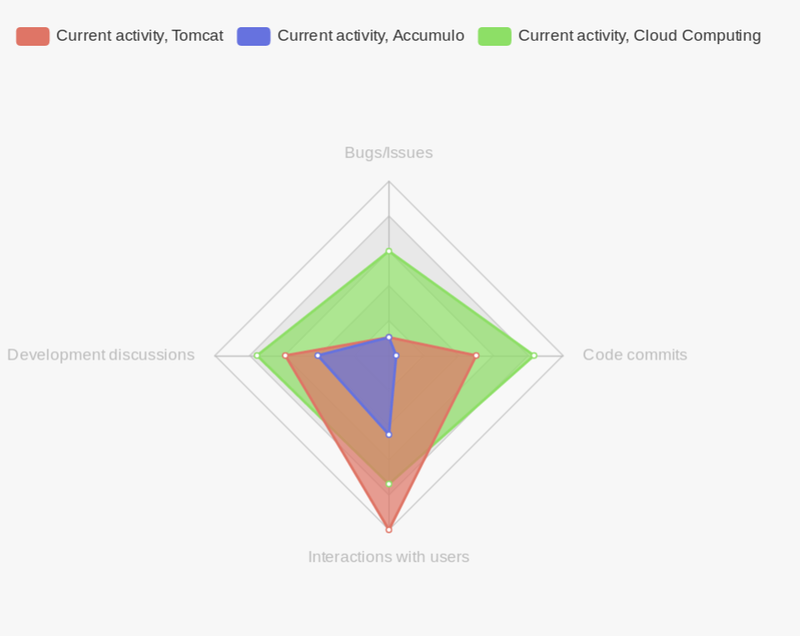 Snoot tracks code, community discussions, issues/bugs and people, and allows a detailed and highly customizable look into the day-to-day, year-to-year activity of a project, a sub project, a person or an entire organization. In Snoot, everything is centered around views. A view can be a project, a category, a specific data type or a random selection of data sources. With views, you get just the data you want to look at, regardless of the size of your overall organisation. Views can also be shared and embedded externaly in the form of widgets. 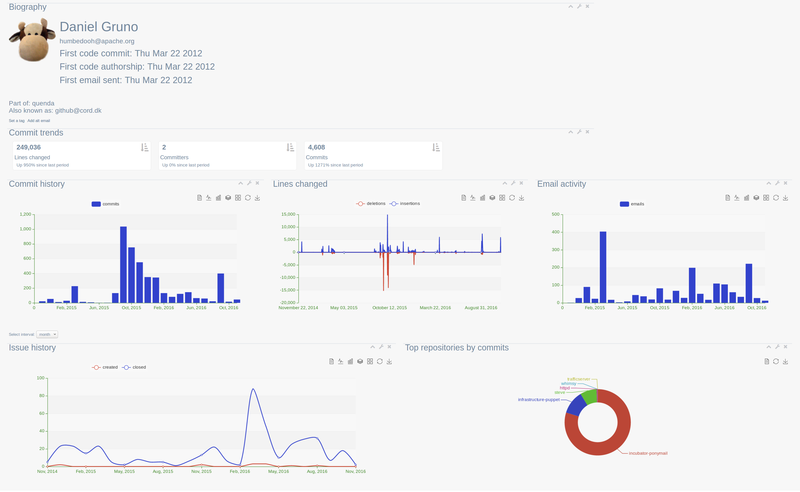 Every bit of activity in your project gets analyzed by Snoot. Snoot can show you the composition and evolution of code, bugs, issues, commiter activity, and more. Every contributor to your project has their own biography with stats on their activity. Check what people have been focusing on, when they started contributing, or which type of contributions they prefer. Most of what you see on Snoot, you can publish with our website widgets. Add interactive charts to your website and keep the public up to date with your latest activity and trends.